Mobile Agent (MA) paradigm for data aggregation in wireless sensor networks (WSNs) presents a distributed computing paradigm which has proved its efficiency in comparison to the traditional client–server computing paradigm. 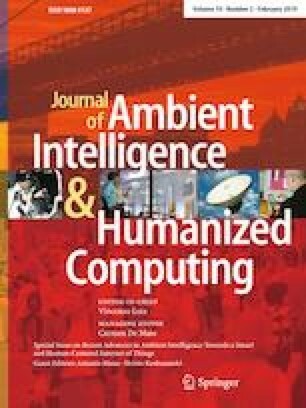 In terms of energy consumption and overall time response, MA computing paradigm presents a better alternative. Instead of sending the collected data to the sink as in client/server, MA moves to sensor nodes (SNs) for data collection. For MA, to move among SNs, an itinerary should be planned before the migration. Many approaches have been proposed to solve the problem, but all approaches did not take into consideration the fault tolerance problem, even though WSNs are prone to failure. In this respect, we propose Energy efficient and fault tolerant distributed algorithm for data aggregation in wireless sensor networks (EFTA) to plan the itinerary for MA and another alternative itinerary in case of node(s) failure. Our algorithm adopts a clustering method to group SNs in clusters then plans the itinerary among those clusters efficiently. Also an alternative itinerary based fault tolerance is proposed. Simulation results show that our algorithm performs better than other existing ones. Chen F, Guo L, Chen C (2012) A survey on energy management in the wireless sensor networks. IERI Proced 3:60–66. In: 2012 international conference on mechanical and electronics engineering, Bangkok, 27–28 Sept 2012. https://doi.org/10.1016/j.ieri.2012.09.011 (ISSN 2212-6678).